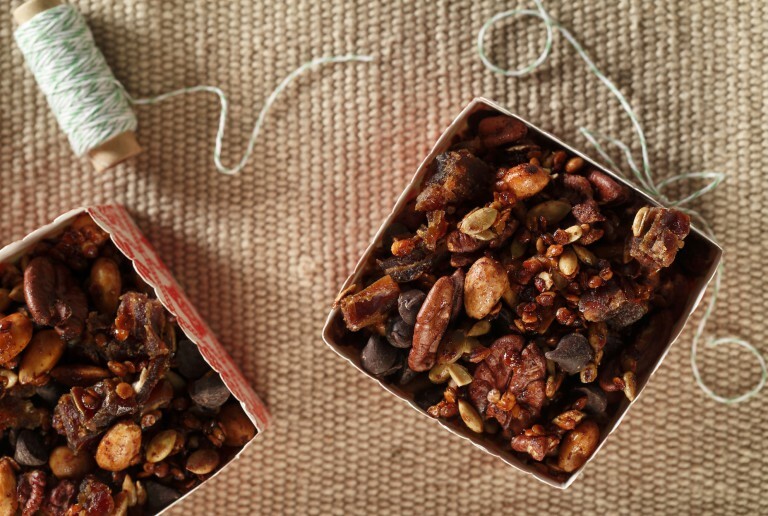 Make extra granola and bring it along on a hike, to work, to school or have it as a quick snack before bed! 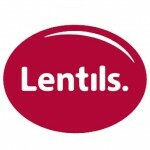 RINSE lentils under cool water until most of the starch washes off and the water runs clear. Soak the lentils in water for at least 12 hours, rinsing the lentils and replacing the water at least 2-3 times. DRAIN the lentils well. On a baking tray lined with parchment paper, scatter the lentils evenly and roast in the oven for approximately 30 minutes, until they become dry and slightly crunchy. While baking, flip the lentils over every 10 minutes with a spatula to make sure they roast evenly. LIGHTLY toast the pumpkin seeds in a pan, and set aside in large mixing bowl. 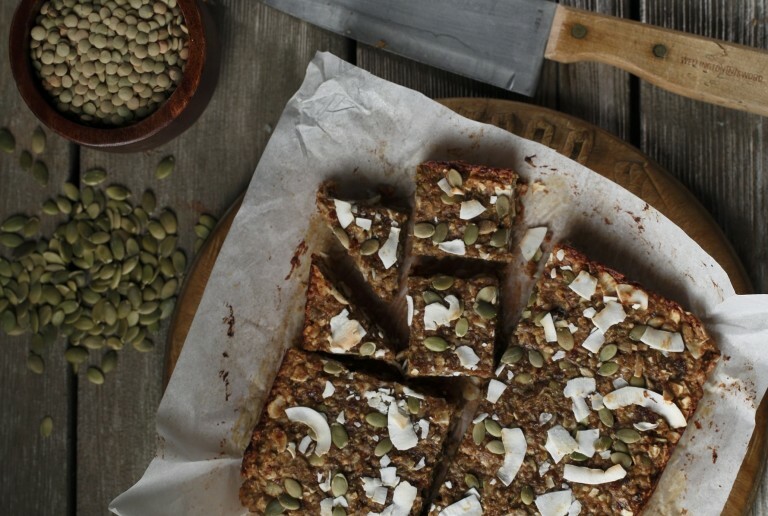 TOSS the roasted lentils, oats, and hemp hearts with the toasted coconut and pumpkin seeds. Mix in the oil, honey, and orange zest, making sure everything is combined well. 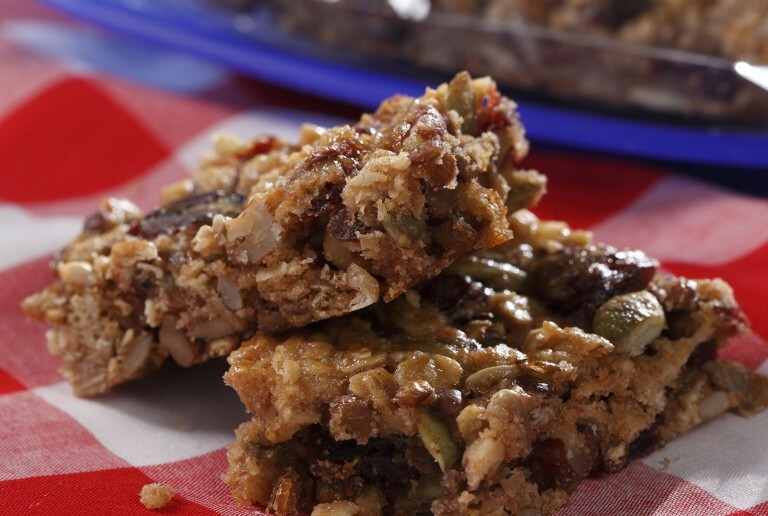 SCATTER the mixture on a tray lined with parchment paper and roast for 15-20 minutes. Toss the hot mixture back into the large bowl and mix in the dried berries. Set aside to cool. PLACE half of the yogurt in a parfait bowl or a deep glass dish. Scatter half of the granola on top with half of the berries. Layer the rest of the yogurt and scatter the remaining granola and berries. DRIZZLE with the remaining 1 tsp of honey.